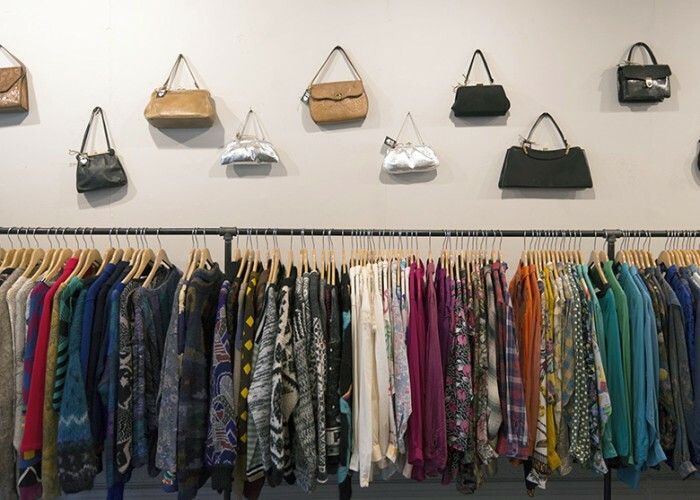 Whenever Mahro Anfield’s mother says goodbye over the phone, she makes sure to tell her daughter, “Mama loves you.” So when the mother-daughter duo teamed up to open a vintage clothing store, it was only fitting that they chose a name that reflected their cherished relationship. Mahro’s mom, Melo, lives in Vancouver and has been a purveyor of vintage for years while Mahro, a graduate of Ryerson University’s fashion communications program, has spent the majority of her adult life working in retail. 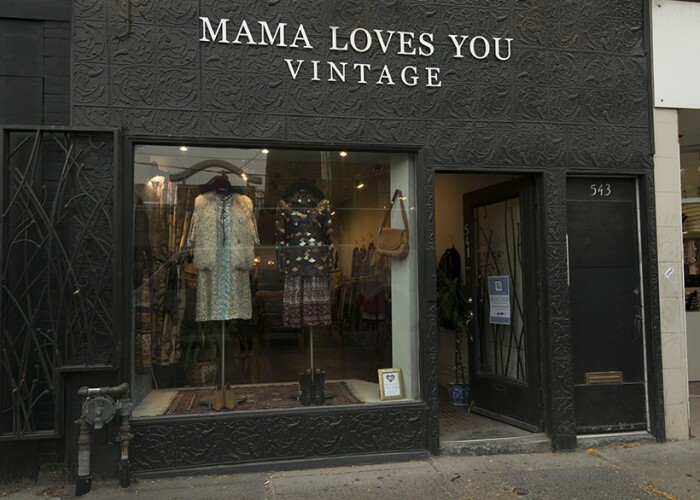 “We said, ‘This is silly, let’s just do it ourselves’,” recalls Mahro, and in December 2012 Mama Loves You Vintage opened. Mahro takes care of day-to-day operations and sales, while her mom does all the buying. 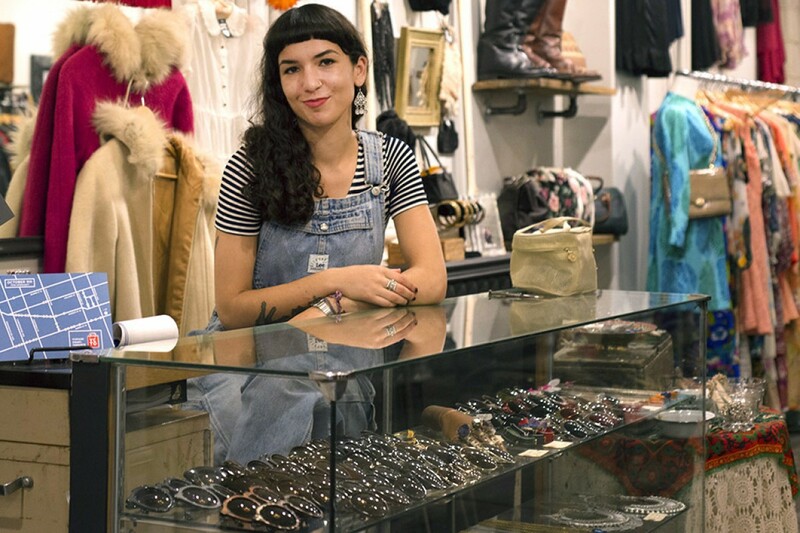 “We have our own aesthetic that we try to focus on in the store with a focus on the 1960s to ’70s,” she says. Growing up with a mom who worked in fashion, Mahro always knew she wanted a similar career. The longevity and uniqueness is what intrigues her most about vintage clothing. 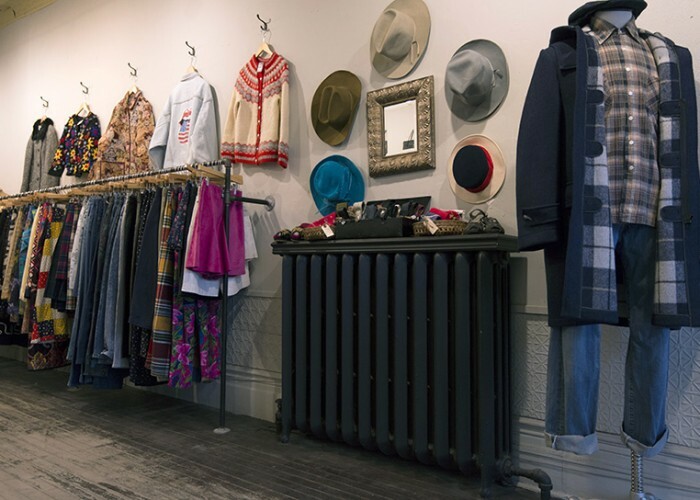 The store is an eclectic mix of treasures including patterned dresses and skirts, ’90s band T-shirts, grunge flannels, belt buckles, leather shoes and boots, fur coats and much more. “Vintage allows you to create your own style rather than just going into another store and picking something off a mannequin,” she says. All apparel is one of a kind, which makes it hard at times for Mahro to let go. “Everyone says, ‘Oh, you must keep everything.’ Actually no, because then I wouldn’t have any money,” she jokes. Mahro describes the best part of her job as pairing an item with the person perfect for it. Prior to opening her store, Mahro worked for a number of retail businesses on Queen Street. “I’ve worked on this block for years and years now. I know it really well so it made sense to open it here,” she says. She likens the street to an outdoor mall that still has a cozy neighbourhood feel. “I like that it’s a mix of everybody. You get young people, you get families, you get tourists, and you get people coming down for the day. It’s always busy,” she says. In the future, she plans to have more store events to draw in new customers. “Everyone has their own take on what’s trendy and what’s vintage. I want to do what feels right to me and follow my gut. If I’m honest, I feel like people will see that,” she says.